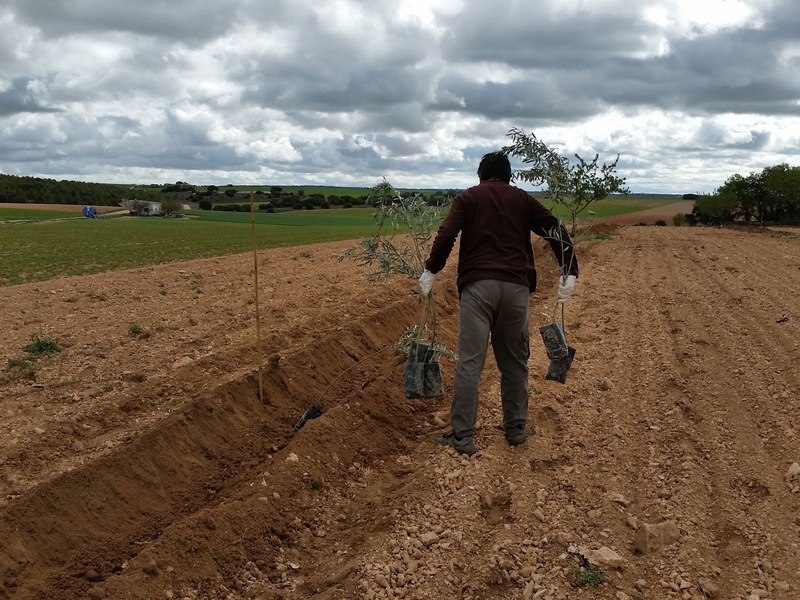 ​Since some years ago, we had some old olives trees in grandparents' small field without profits. 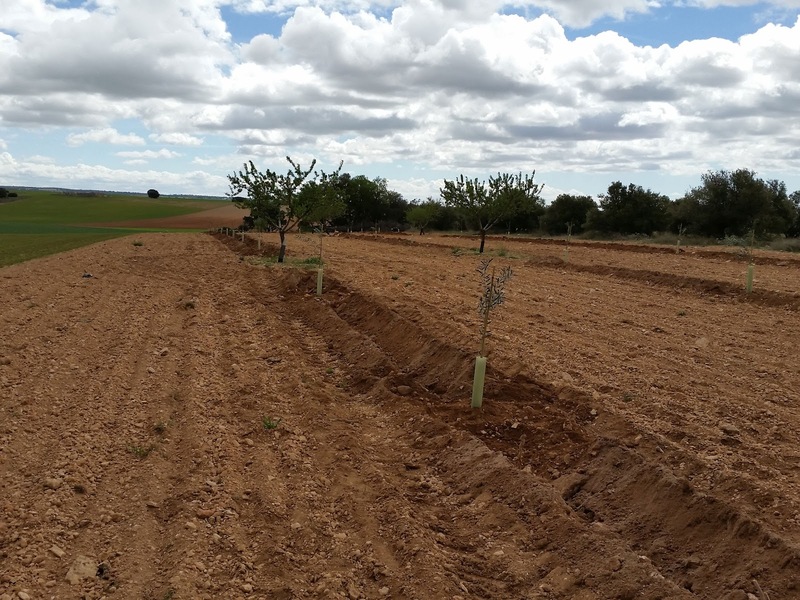 Those olive trees were in very poor condition, so we decided to plant new olive trees. 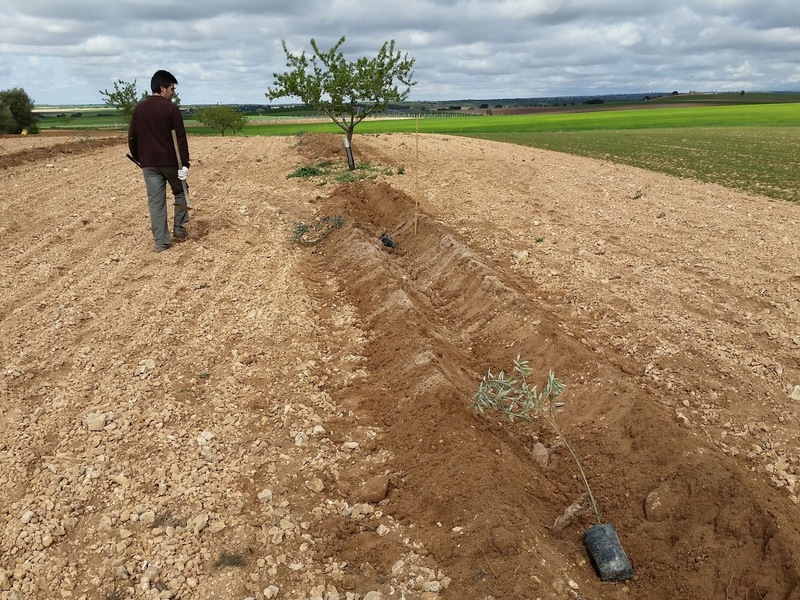 It is a small field (about 0.3 he) where you can find some almond trees. 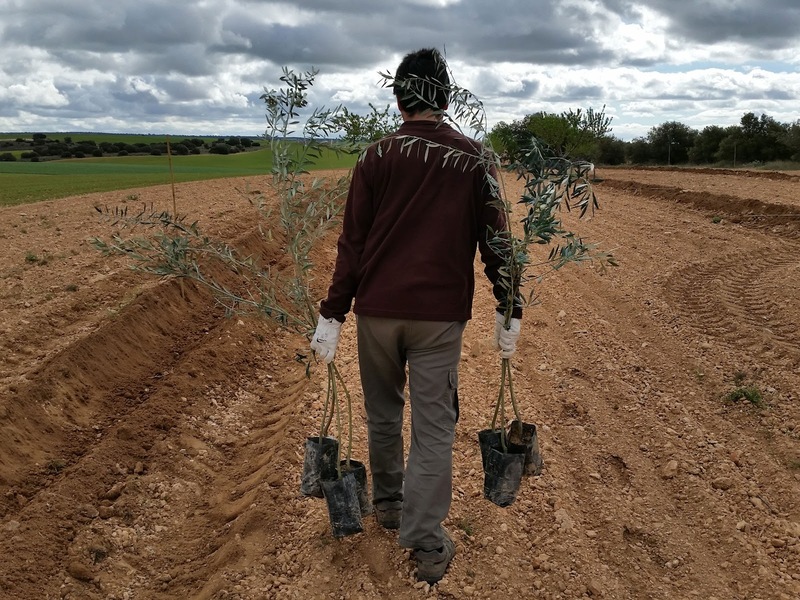 Olive trees is not a common crop in our area but we have been getting really good results. 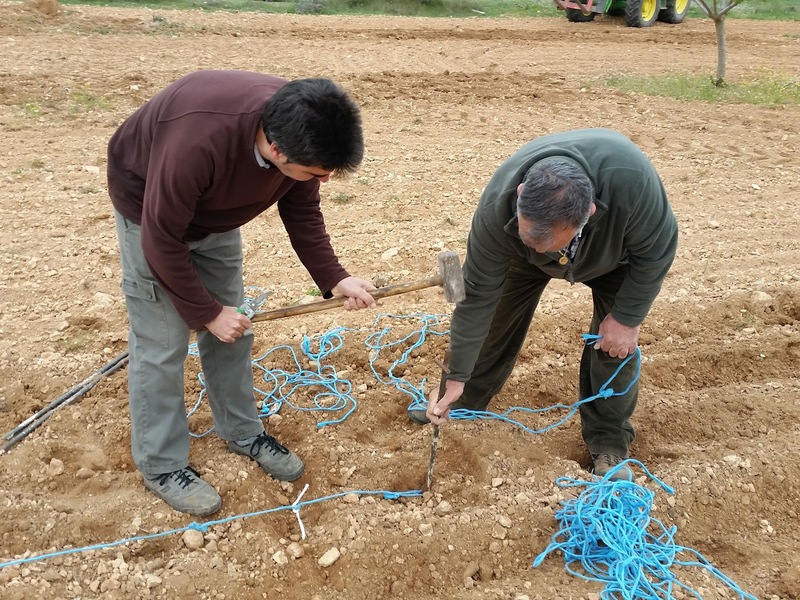 As you can see in our pictures, we worked using a traditional method to plant about 50 olive trees: subsoiler, measuring cord and hoe. 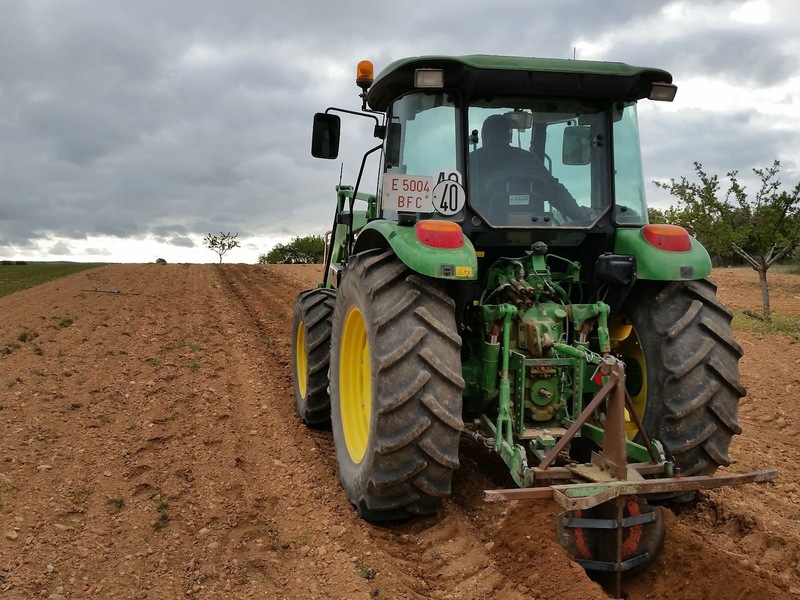 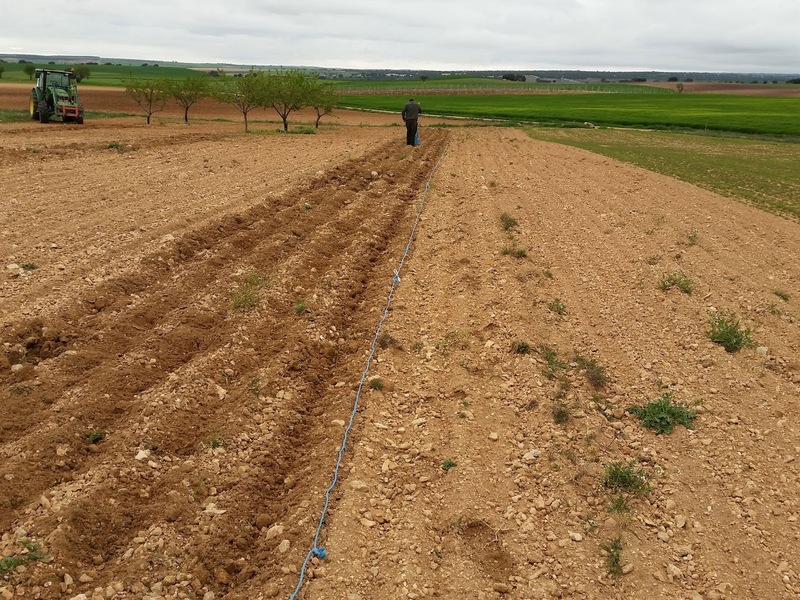 This task was really interesting, although we couldn't work on this way for large fields because we could have accumulate small errors with our measurements. 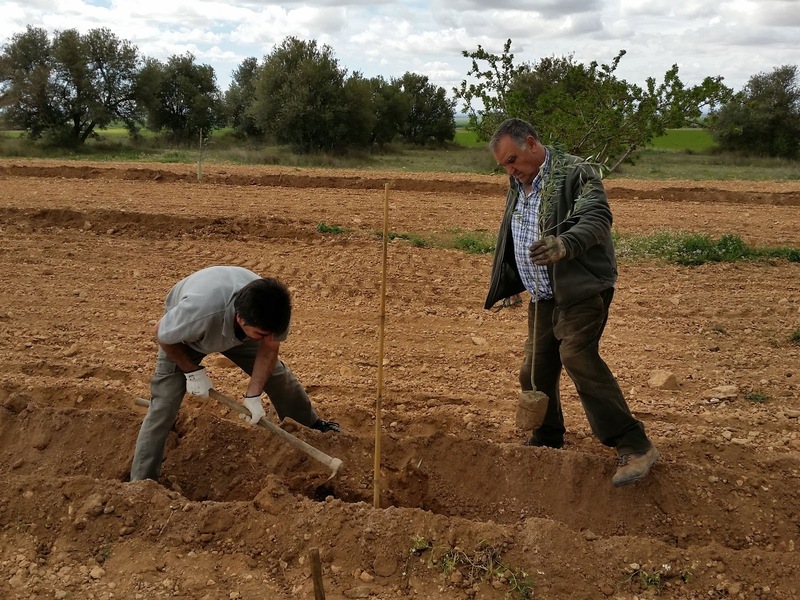 Besides, we should have to do an important effort to complete a field of few hectares. 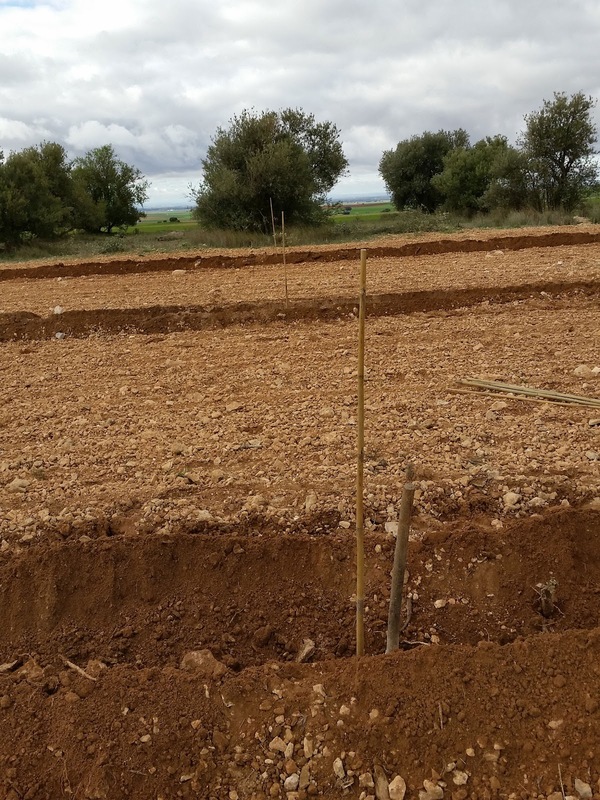 We choose a rectangular plantation frame of 7x7 meters. 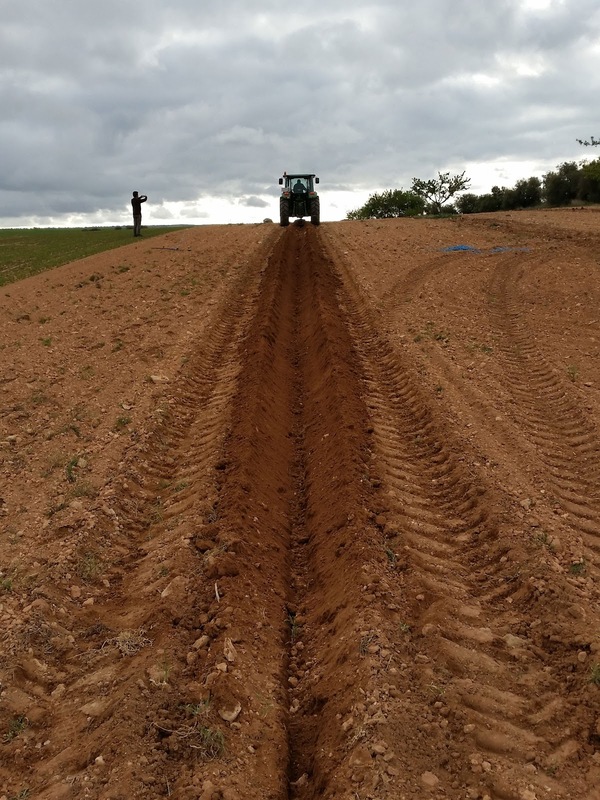 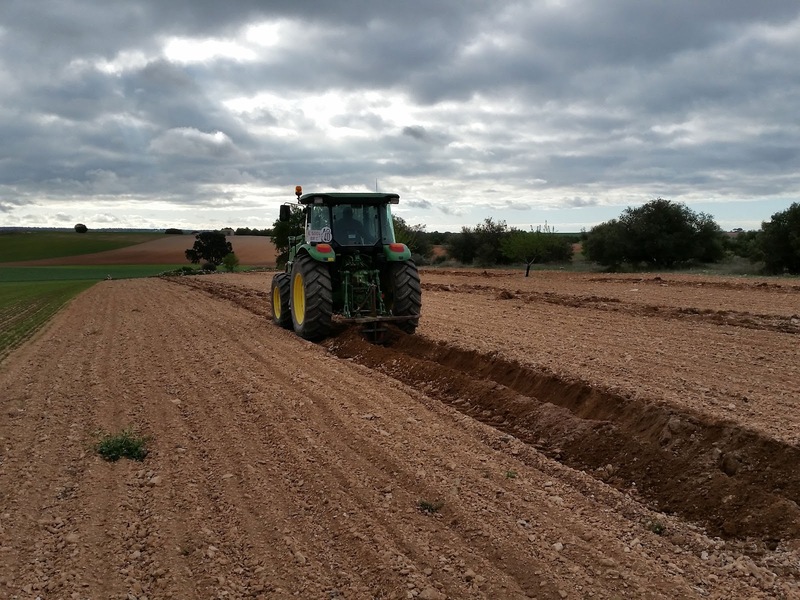 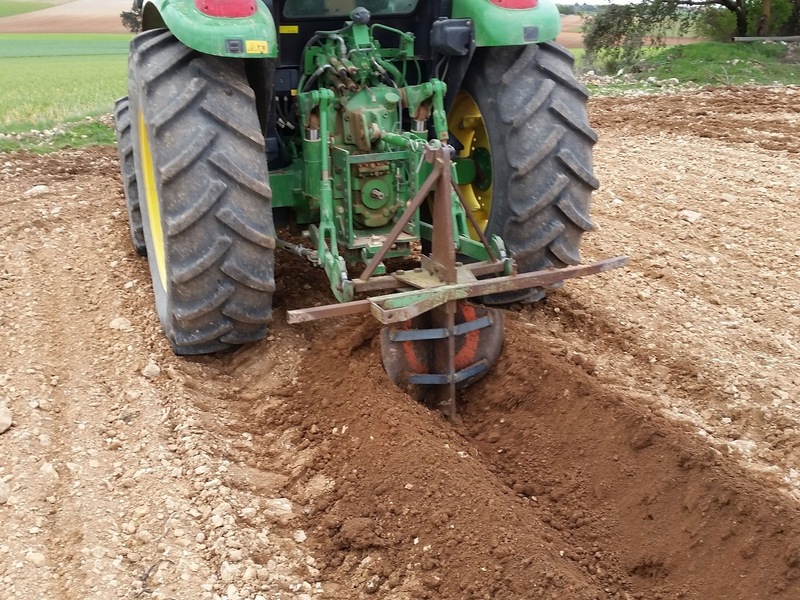 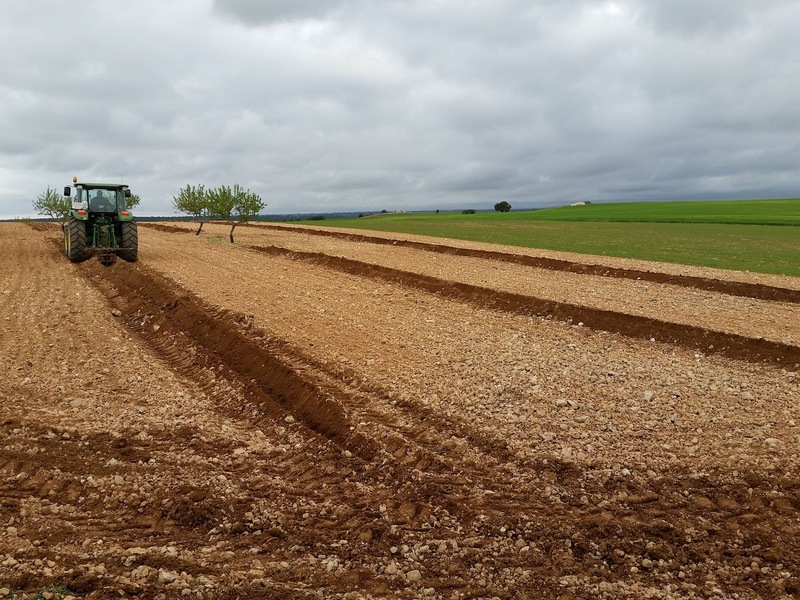 The first step was to do a row using the subsoil and after that we used our cord to fix the olive trees' position. 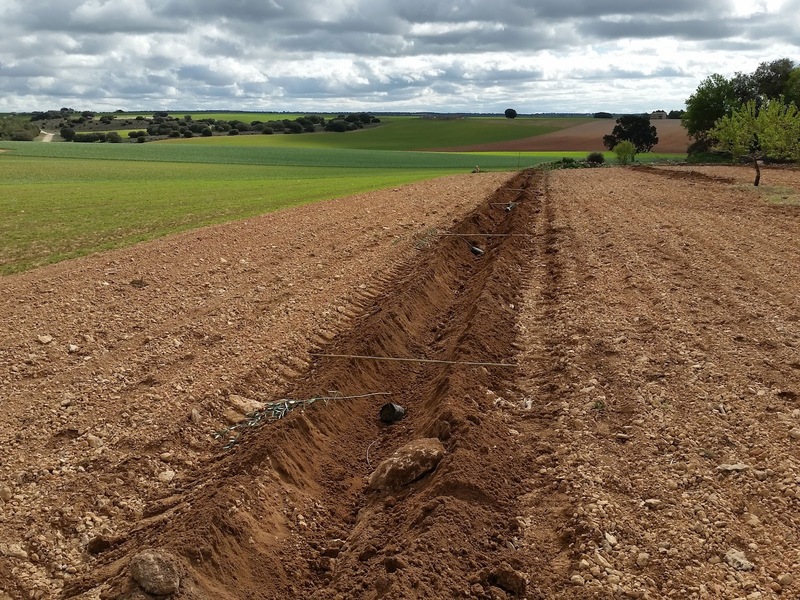 This cord is 70 meters long and it has marks every 7 meters (white bows). 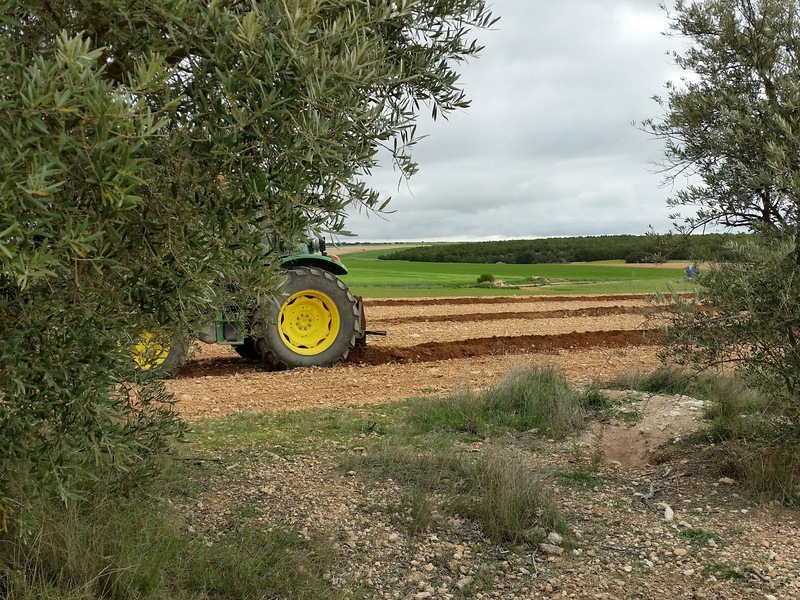 ​F​ollowing step was sharing out our olive trees, tree protectors and bamboo stakes. 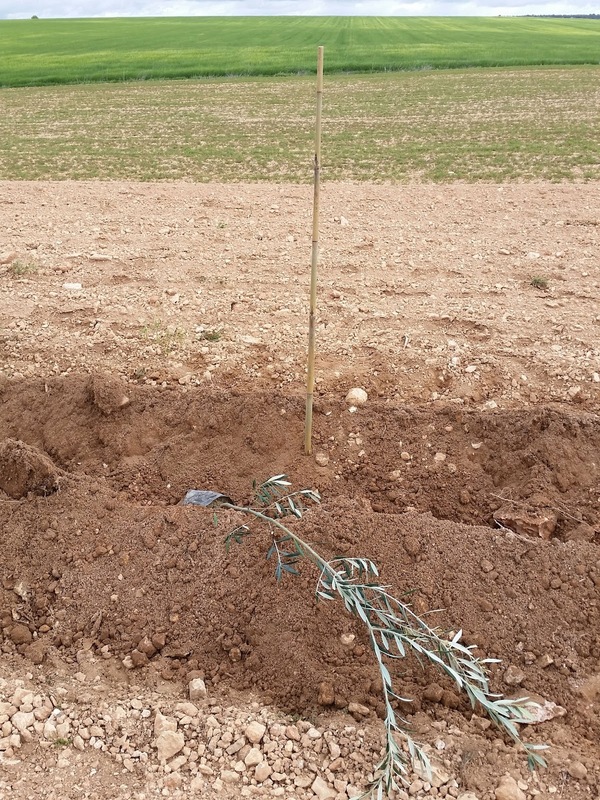 Finally, we planted all olives trees using a hoe... it was pretty funny!! 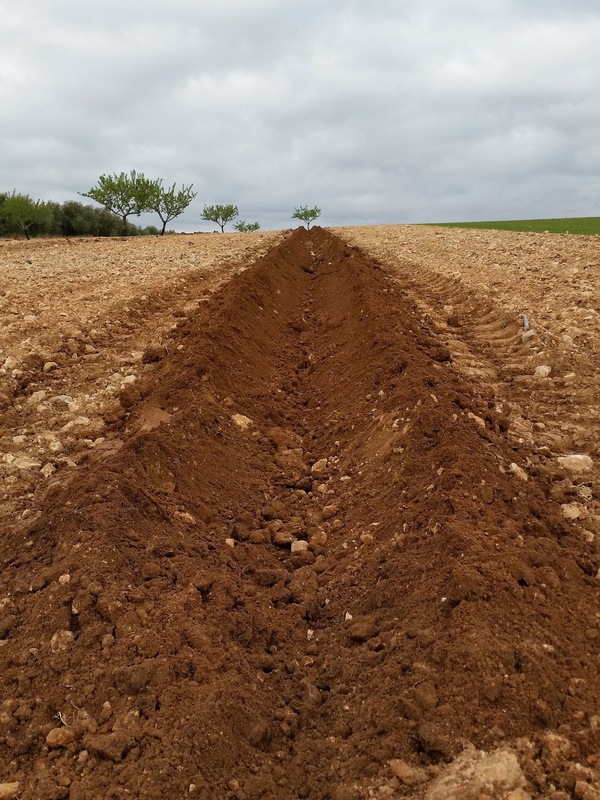 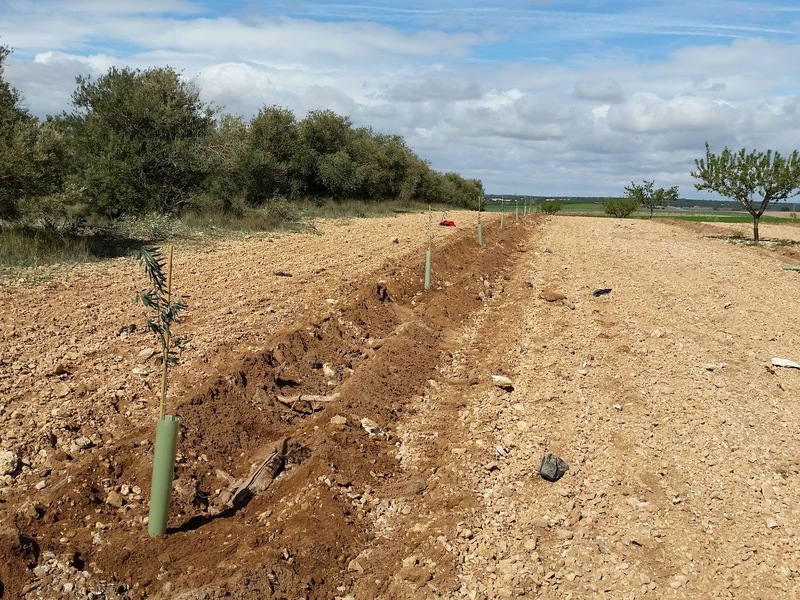 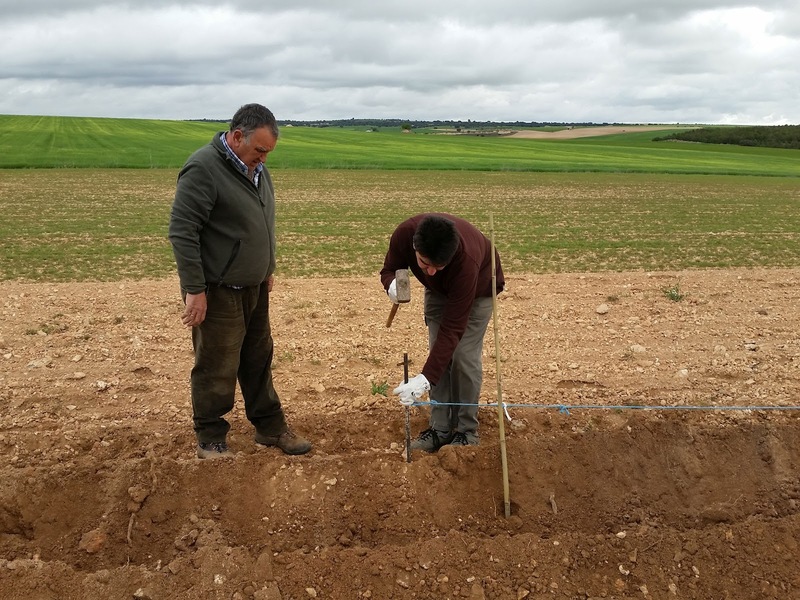 In the following post, you will be able to know how we planted our olive trees using new technologies.